In this tutorial you are going to learn how to make brush in Photoshop which can be great if none of the custom brushes that come with the program work for you. First, create a new document. 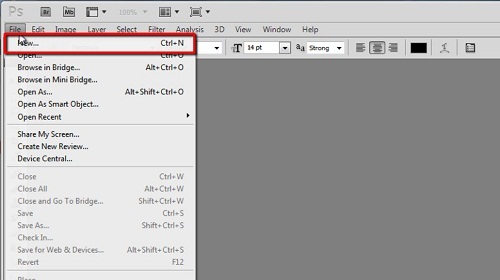 Click “File” then “New” and in the window create a document with a width and height of 200 pixels. Ensure that “Background Contents” is set to white. Click “OK”. You will have a small white square where you can create your brush. You can essentially make whatever you want but it must be black on the white background. Here we are just entering some simple text, but you could just as easily draw something freehand. Once you have created your desired brush template click “Edit” then “Define Brush Preset”. In the window give your brush a name and click “OK”. 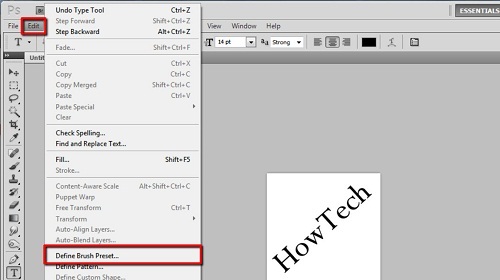 To test out the brush, create a new document and use the default Photoshop size for the canvas. In the toolbar on the left select the brush and at the top click on the brush selection icon. Scroll right down to the bottom of all the brushes and you should be able to see yours. 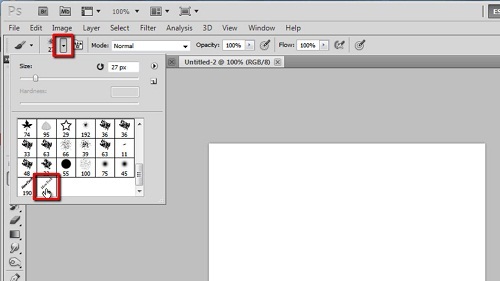 Click on it and use it to paint something on the canvas and that is how to make brush in Photoshop.